We're passionate about providing exceptional service and making our guests feel right at home. From top amenities to tips on things to do, we have you covered for an incredible stay. Our London Perfect apartments are carefully cherry-picked for their perfect blend of comfort, location and classic London charm. 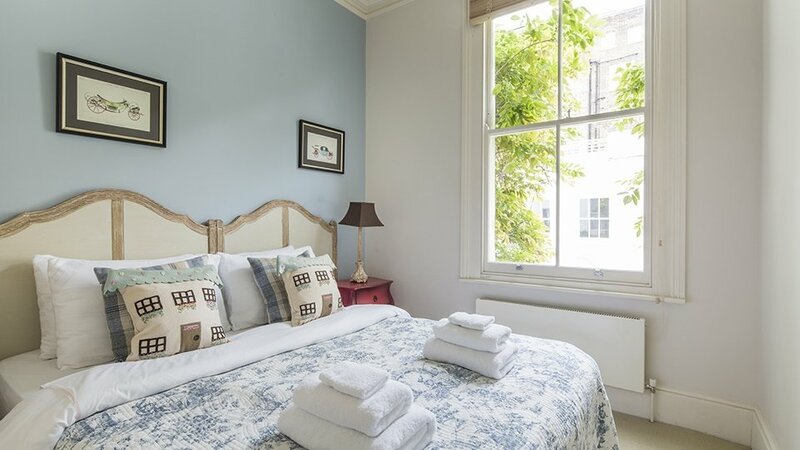 We invite you to enjoy looking through our portfolio of London vacation rentals where you’ll discover the hallmarks of our apartments – ideal central London locations, beautiful apartments with historic details and all the amenities included so you’ll feel at home from the moment you arrive in London. At London Perfect, our guests are our number one priority. Our goal is ensuring you have an incredible vacation from start to finish. While some rental companies might sign up as many properties as possible, with London Perfect we choose quality over quantity and focus on providing the finest properties we know our guests will love. We’re proud of our carefully vetted and curated portfolio of apartments, and look forward to inviting you to make them your home away from home in London! From reservation enquiries to sharing our insider recommendations, we help guests enjoy a stress-free holiday in London. Our customer service and attention to detail means guests feel welcome upon arrival. We even recommend a trusted driver to deliver you to your door and help with your luggage, as well as sharing our London Guide offering tips, restaurant suggestions and information so you’ll feel like a local from the moment you arrive! We’ve thought of everything you’ll need to enjoy a memorable stay in London. We understand the importance of cleanliness, and our properties are managed to ensure the highest standards of cleaning and maintenance. Guests love knowing that we’re available to help with any questions during their stay. When you choose London Perfect you can enjoy the best of both worlds – the privacy of your own vacation apartment in London along with the comfort of knowing we are just a phone call away. A stay with London Perfect means you'll enjoy the comforts of our first-class cleaning services and amenities while also savoring the privacy and advantages that come with a home setting. Our team works hard to ensure every apartment feels like home – just for you. One key advantage to London Perfect is that many of our properties are prepared just for use as vacation rentals. This is key difference when it comes to comfort and privacy that our guests enjoy during their stay in London. It’s all about location, location, location with London Perfect. We guarantee properties in London’s top neighbourhoods surrounded by all the amenities you need for a comfortable stay. Our apartments are located in the most sought-after post codes that even most Londoners would dream to call home. Step outside to find wonderful food stores and restaurants—from chic to classic London pubs—and enjoy strolling along charming streets to top London attractions nearby. Our apartments put you right where you want to be in the heart of London. From Museum Row and Buckingham Palace to Harrods, Chelsea, King’s Road, Kensington Palace, the Tower of London, Trafalgar Square, the Theater District in the West End and more, you’ll find the best of London easily accessible by foot, Tube or aboard the famous London red double-decker buses. Feel at home in London’s most beautiful neighborhoods during your stay with London Perfect. With London Perfect you can rest assured that we’ll go above and beyond to make your vacation a memory of a lifetime! With twenty years of experience in the vacation rental industry, we’ve learned that the key to happy guests is selecting only the finest properties and providing excellent service from start to finish. And our passionate work shows in our awards and raves in Travel + Leisure, Condé Nast Traveler, Town & Country, Wendy Perrin and more. Don’t just rely on our word for it. We invite you to read our guest reviews! “We fell in love with our London Perfect apartment from the moment we stepped in the door. It was clean and very comfortable. The location was perfect – close to the Tube and museums and parks where we felt like locals during evening walks." Laura & Jeremiah C.
Your holiday is your time to relax and take in new sights, foods and experiences. So when you're traveling, we're working. Our Travel Design Team is dedicated to helping you plan your dream trip, customized to your tastes. Whether it’s planning a custom tour exploring London’s top spots or creating a personalized itinerary, we’ll help you add the perfect finishing touches to your London holiday! We love to show off our city, and we only hire local experts so we can make sure you see the best of it. Need a dinner recommendation? Need help to plan your family’s first visit? Wondering which museum is best for your interests? Want to find a local spot to have a glass of wine and people watch? Just ask. We also serve as your in-country support resource if you have questions, need a translator, reservations or emergency services. When you're visiting London you're visiting our home, and we want to show you a wonderful time. Each one of our London apartment rentals has been handpicked for its combination of beautiful décor, top of the line appliances, comfortable design and all the modern conveniences to help guests feel at home from the moment they arrive. Our selection is limited because quality apartments and homes in central London are difficult to find. We will not compromise on quality and location, because this is precisely what makes a vacation rental memorable. We prefer to seek out and represent a small selection of apartments in the very best London locations where you can create London vacation memories of a lifetime! Your time in London is precious and you deserve to enjoy every moment of your stay. Return home at the end of a day of sightseeing to your comfortable London Perfect vacation rental. You’ll find quality mattresses and sofa beds—a must for a comfortable night’s sleep—as well as modern kitchens, beautifully remodeled bathrooms and welcoming living spaces. Relax at home with family and friends while enjoying every moment of your stay in London.